Review the requirements in your state for a power of attorney document for the kinds of decisions you wish to authorize. Many state bar associations offer templates for powers of attorney forms and explain the state's legal requirements. If your state bar does not provide this type of information, you will need to review the state law, which is often available online. 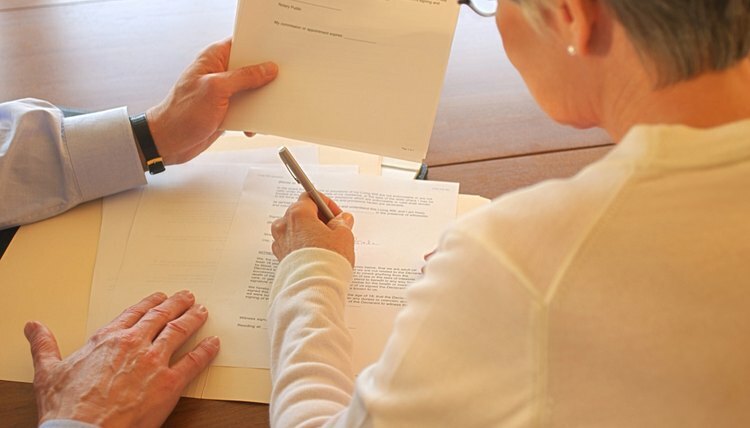 Find out what is necessary to create a valid power of attorney, such as the number of witnesses, whether any specific language is required, the requirements for the types of people allowed to serve as a power of attorney and the types of decisions that you can authorize by this type of document. Speak to the person you wish to authorize as your attorney-in-fact. This is an important step, because you must be certain that the attorney-in-fact understands your wishes -- and that he is willing to serve in this capacity. Since the attorney-in-fact is acting on your behalf, it is important to select someone you trust to carry out your wishes and to act in good faith. Determine the amount, if any, that you will pay the attorney-in-fact for rendering his services. Draft the power of attorney form, specifically authorizing the agent to carry out actions on your behalf. You must specify exactly what your attorney-in-fact will do and the exact events and situations that would allow your attorney-in-fact the opportunity to act on your behalf. These are the primary considerations that must be addressed in a power of attorney form. Provided you have done your research and understand the requirements to create a valid power of attorney in your state, you can draft a power of attorney form yourself. You may also use a template to create a power of attorney document if you are uncomfortable drafting it yourself and do not wish to hire an attorney. If, however, you have complicated authorizations or limitations on the exercise of the authority, it would be wise to consult an attorney. It is critical that state law is followed in writing the document in order to ensure its validity. Name the agent and the contingent agent if something happens to your agent in your power of attorney form. List the events in detail that would cause the power of attorney to become effective. This list covers all events that you feel would limit your abilities to make appropriate decisions or the situations in which you would deem yourself incapacitated -- for example, if you fall into a coma or if you suffer from dementia or Alzheimer's disease. Describe the actions that the attorney-in-fact may make on your behalf while you are incapacitated. This depends on the type of power of attorney being authorized. There are medical powers of attorney as well as financial powers of attorney. You may wish for these to be the same person, or you may wish to authorize different people to serve in different capacities. A medical power of attorney would allow an individual to make health care decisions on your behalf if you were unable to do so yourself based on the specific situations outlined in your power of attorney form. A financial power of attorney would authorize your attorney-in-fact to pay bills and make financial decisions such as investment decisions upon the occurrence of the events specified in your specific power of attorney form. Describe the protocol to terminate or revise the power of attorney. Execute the power of attorney form by signing and dating the document, having your agent sign and date the power of attorney and having the signatures notarized. This execution should be done in front of a witness. Provided the power of attorney form meets all other state requirements, the power should now be valid and will go into effect when the events specified within the document occur.